Produced in 2 business days. Add ship time from IN. 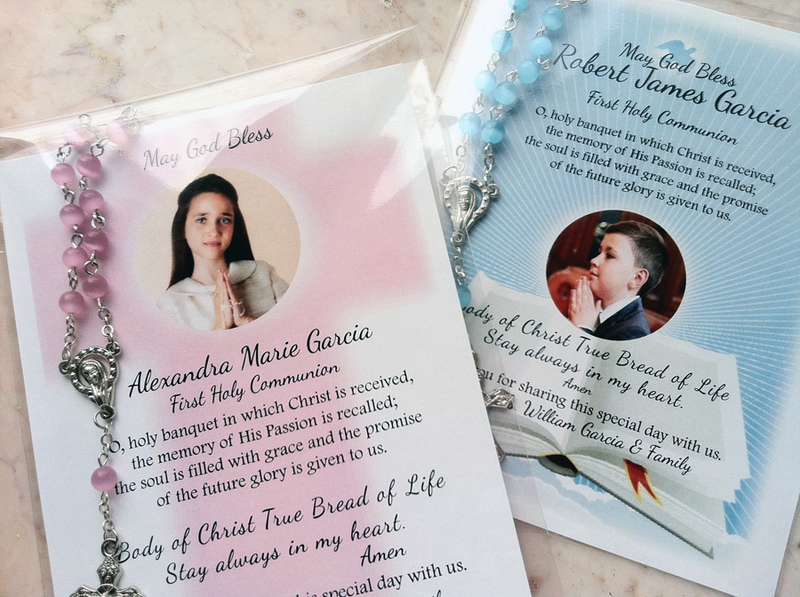 Our First Communion souvenirs are an absolutely wonderful way to thank guests for attending such an important day for your child. 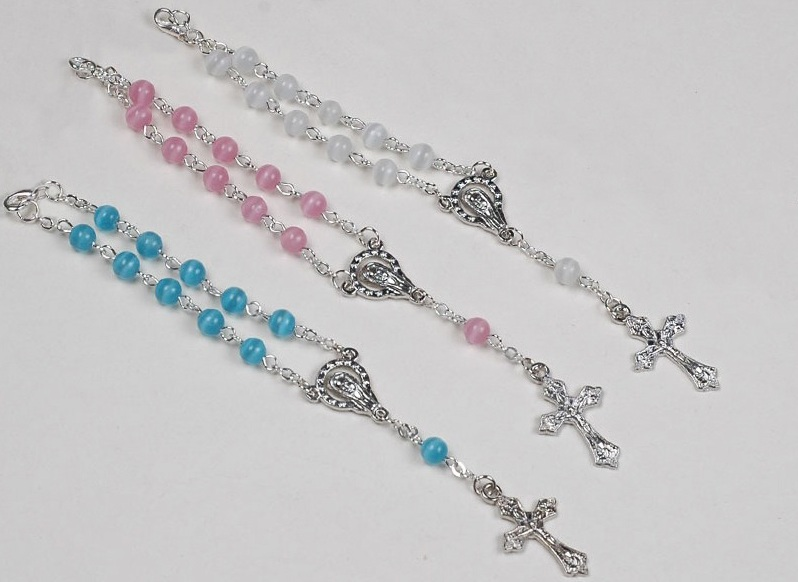 The rosary cards contain not only a beautiful, elegant decade mini rosary, but also a personalized message and a prayer. Celebrate this valuable moment with your friends and family, and give them something to remember it with for years to come. 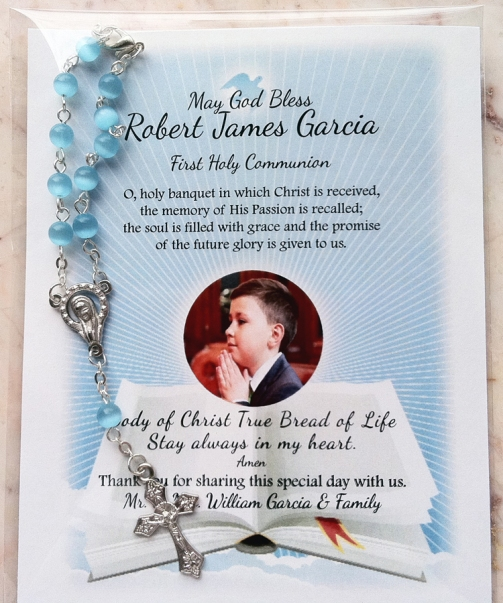 With a variety of designs, the prayer card is completed with the following prayer: O, holy banquet in which Christ is received, the memory of His Passion is recalled; the soul is filled with grace and the promise of the future glory is given to us. Body of Christ, True Bread of Life, stay always in my heart. Amen. 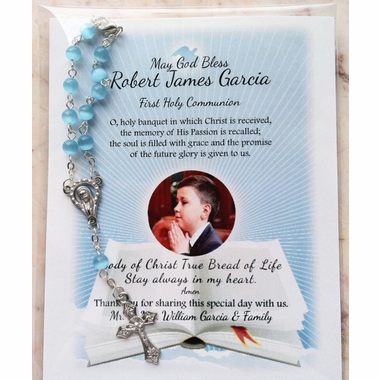 These remembrance card favors come individually packaged in a clear, sealed pouch. Finished size measures approximately 4 1/4"w s 5 3/4"h.
FOR OUR VALUED HISPANIC CUSTOMERS: You can request your information on this item to be written in Spanish. If you would like your information written in Spanish, please complete your order in our store and then email the Spanish text you want written for your personalization to us: info@cool-party-favors.com . 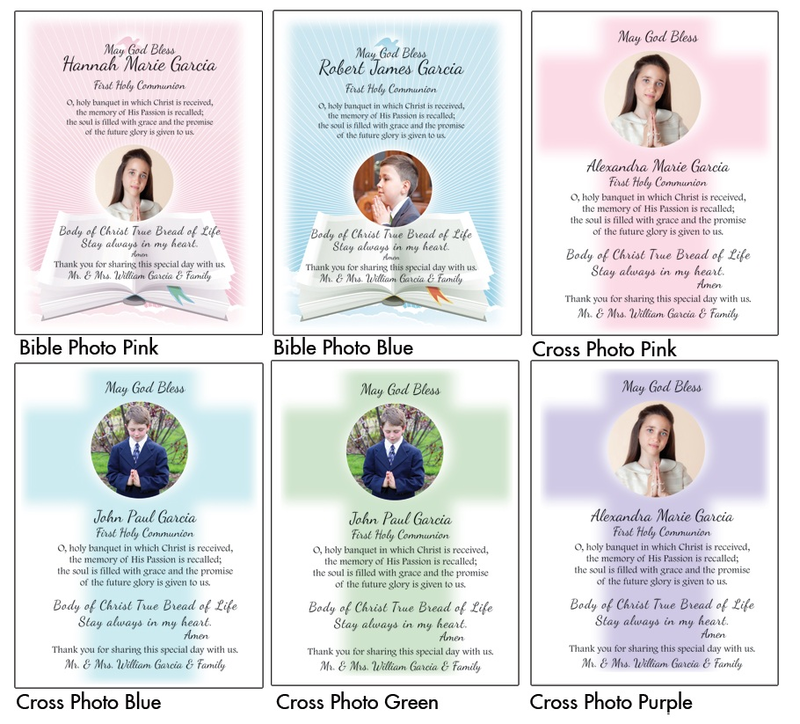 We will create a proof for you and email it to you for approval. Please be aware we need you to respond to your proof email promptly so production of your order is not delayed. 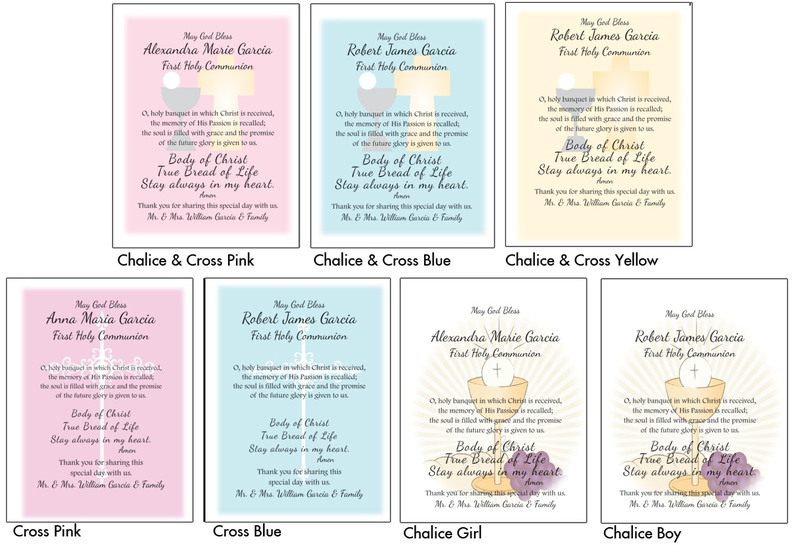 Personalized Communion Favors Stemless Glass/Trinket Holder - 9 oz.